Mario Mey (mariomey) added a comment to T53428: New Depsgraph - Blender crash when clicking in Image Editor.. I tested with blender-2.79-1d33843ea6b-linux-glibc219-x86_64 and there was no crash. Mario Mey (mariomey) created T53430: VSE - Scene strip soft cutted at end frame makes incorrect result. Mario Mey (mariomey) added a project to T53428: New Depsgraph - Blender crash when clicking in Image Editor. : Dependency Graph. Mario Mey (mariomey) created T53428: New Depsgraph - Blender crash when clicking in Image Editor..
Mario Mey (mariomey) added a comment to T36097: "Simplify Multiple F-Curves" is a Blender addon to simplify and align the keyframes of multiple F-Curves at once..
Mario Mey (mariomey) created T52901: New Depsgraph - Driver using "self" needs reloading file to work..
Mario Mey (mariomey) created T52431: BoxBlur shader stop working in certain Bl version..
Mario Mey (mariomey) updated the task description for T52400: Objects with "Cast" off receives Variance shadows, but not light..
Mario Mey (mariomey) renamed T52400: Objects with "Cast" off receives Variance shadows, but not light. from Variance shadow looks weird (artifact) to Objects with "Cast" off receives Variance shadows, but not light..
Mario Mey (mariomey) created T52400: Objects with "Cast" off receives Variance shadows, but not light..
Mario Mey (mariomey) added a comment to T48230: Home key when only one keyframe makes the DopeSheet acting weird..
Coming this bug back to life... Blender 2.78a still doing something strange when pressing Home key with only one keyframe (in DopeSheet (*)). Now, the diamond doesn't dissapear, but it zooms extremely in to a very small range. Can't tell exacly, but I think you will see 0.001 frame in the screen. Nobody wants to see 0.001 frames there. Maybe 10, maybe 50, but not 0.001. Mario Mey (mariomey) created T50103: Parented object with Scale 1,1,0 seems to have Loc and Rot locked..
Mario Mey (mariomey) added a comment to T49801: Normal Map node is not working correctly. @Brecht Van Lommel (brecht), someone made a "Bump_to_normal" node setup, to convert a bump map in normal map, with some nodes. This setup works to make normal texture, but not for using it as normal map. Why? Because the color space isn't set up. It works as a NormalMap texture with sRGB (bad). Mario Mey (mariomey) created T49826: NEW-DEPSGRAPH - Texture is not updated after changing its space color. Just as it is. Thanks. Despite I know that this node cames from Cycles, this report is about the incorporation of it in BI and ViewPort. Mario Mey (mariomey) updated the task description for T49801: Normal Map node is not working correctly. Mario Mey (mariomey) created T49801: Normal Map node is not working correctly. Mario Mey (mariomey) added a comment to T48774: Tangent Shading material option doesn't work on BGE.. But if you need it, I can try to implement it in my holidays. Mario Mey (mariomey) added a comment to T48798: NEW-DEPSGRAPH - Dupligroup from dupligroup strange behaviour.. I correct myself: it does move... but it is not visible until release the movement and move it again. In that moment, the object's new place is visible. Mario Mey (mariomey) created T48798: NEW-DEPSGRAPH - Dupligroup from dupligroup strange behaviour..
Mario Mey (mariomey) created T48774: Tangent Shading material option doesn't work on BGE..
As I reported this same bug in v4l2loopback issues github page, can I add this information that you are telling to me? Is there any other further information to post there? Is there any way to disable caching without modifying code and recompiling...? If not (and if it seems to be stable to do that), could you make a diff (patch) file for me to compile Blender here? @Benoit Bolsee (ben2610), you don't really need a camera to test the bug. The webcam is there to show that /dev/video0 is working and /dev/video1 isn't. Mario Mey (mariomey) created T48705: bge.types.KX_FontObject(KX_GameObject).resolution doesn't exist in documentation..
Mario Mey (mariomey) reassigned T48692: VideoTexture, only first frame shown (gst-launch/v4l2loopback -> Blender) from Benoit Cousson (benoit) to Benoit Bolsee (ben2610). Mario Mey (mariomey) updated subscribers of T48692: VideoTexture, only first frame shown (gst-launch/v4l2loopback -> Blender). Mario Mey (mariomey) created T48694: bge.texture.Texture().refresh() API minor documentation error.. This file works in Blender > 2.66. The bug is there and all the later versions. Included the last one 2.77a. Mario Mey (mariomey) created T48692: VideoTexture, only first frame shown (gst-launch/v4l2loopback -> Blender). Mario Mey (mariomey) added projects to T48599: getActionName() still returning Action name that already stopped. : Game Logic, Game Engine. Mario Mey (mariomey) created T48599: getActionName() still returning Action name that already stopped..
Maybe this is an oooold known system limitation... that I reported in 2010 (T22850)? Mario Mey (mariomey) created T48231: Constraint influence driven by bone doesn't work..
Mario Mey (mariomey) created T48230: Home key when only one keyframe makes the DopeSheet acting weird.. Thanks for testing it, @Angus Hollands (agoose77). This bug is still in 2.77. Mario Mey (mariomey) added a comment to T46946: Edge Slide from G-G (key) deactivate "Correct UV" UI.. I confirm that. I didn't note that it was also a non-UI error. Mario Mey (mariomey) created T46946: Edge Slide from G-G (key) deactivate "Correct UV" UI..
Mario Mey (mariomey) added a comment to D1396: Fix T43033: VideoTexture module repeated loading of images causes memory leak. @Ulysse Martin (youle) As I told you by chat, I don't know what is a "bisect", but I compiled this commit and the last before and I can say the the problem is after this fix. Mario Mey (mariomey) added a task to D1396: Fix T43033: VideoTexture module repeated loading of images causes memory leak: T43033: VideoTexture module repeated loading of images causes memory leak. I found that fix T43033 broke VideoFFmpeg stop() function. Mario Mey (mariomey) added a revision to T43033: VideoTexture module repeated loading of images causes memory leak: D1396: Fix T43033: VideoTexture module repeated loading of images causes memory leak. This is a screencast of the bug with BlenderPlayer, with a complete version of the file uploaded here. The steps how I found this bug. Mario Mey (mariomey) created T46755: Animation gets broken (needs properer title)..
Mario Mey (mariomey) added a comment to T46621: Undo doesn't work on unparenting an object in armature-edit-mode.. I understand. Actually, if I go back to Object Mode, Ctrl-Z makes the undo. Thanks for the response. Please, follow the steps as I wrote. I didn't say go to Object mode, but stay in Edit Mode and use this panel and this "X" (close icon) to unparent the object. @perfection cat (sindra1961), I discovered the bug by a mistake. I wanted to unparent the bone but I clicked in the object relation panel. So, I unparent the armature (as an object, and because it is parented to another object). Mario Mey (mariomey) created T46621: Undo doesn't work on unparenting an object in armature-edit-mode..
Mario Mey (mariomey) added a comment to T46384: Object parented to a bone changes its location after another parenting to the same bone.. Sorry about this. I have not clear what that option means... but it's ok.
Mario Mey (mariomey) added a comment to rBA2955d801d590: Fix T46383: "Import Images as Planes" should reload image datablock before…. Mario Mey (mariomey) created T46384: Object parented to a bone changes its location after another parenting to the same bone.. When would we want this option unchecked? I mean... I said "an option", but it could always force reload. Mario Mey (mariomey) created T46383: "Import Images as Planes" should reload image datablock before importing..
Mario Mey (mariomey) added a comment to T46242: New Depsgraph: When making proxy, it doesn't modify/deform linked objects till reload the file.. 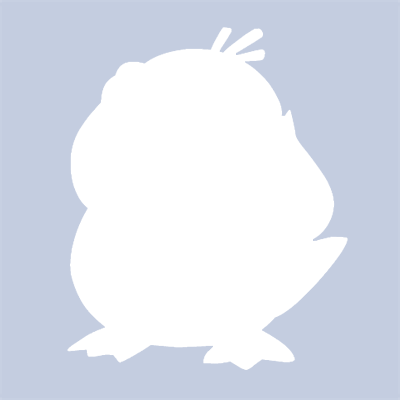 I just tested it with blender-2.76-550527b-linux-glibc211-x86_64, from builder bot. It does the same, exactly as the video shows. Mario Mey (mariomey) created T46344: Bone isn't affected by influence keyframe if the action is shared (*)..
Mario Mey (mariomey) added a comment to T45367: Z-Transparency at alpha 1, it makes artifacts..
Gentlemen, I think here is a "bugs confusion". Mario Mey (mariomey) created T46320: New Depsgraph: Auto-IK doesn't work.. Yes, I tested with de80e69. Mario Mey (mariomey) added a comment to T46243: New Depsgraph: Making local a linked group, it doesn't respect an Action till reloading the file or deleting the linked group.. The bug is in the new depsgraph. Using old depsgraph, it works as spected. I make a video and upload the first file to be linked. I'm really sorry about not following the template. Mario Mey (mariomey) added a comment to T46260: BI + Object Color + Shadeless = not rendering.. The file, added some text and rendered in BI. Mario Mey (mariomey) added a project to T46260: BI + Object Color + Shadeless = not rendering. : Rendering.